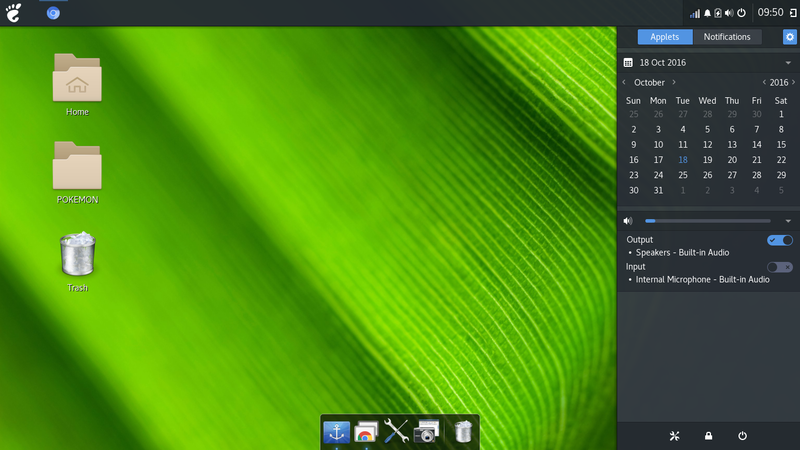 Budgie desktop is the default desktop environment of Solus Operating System, written from scratch. 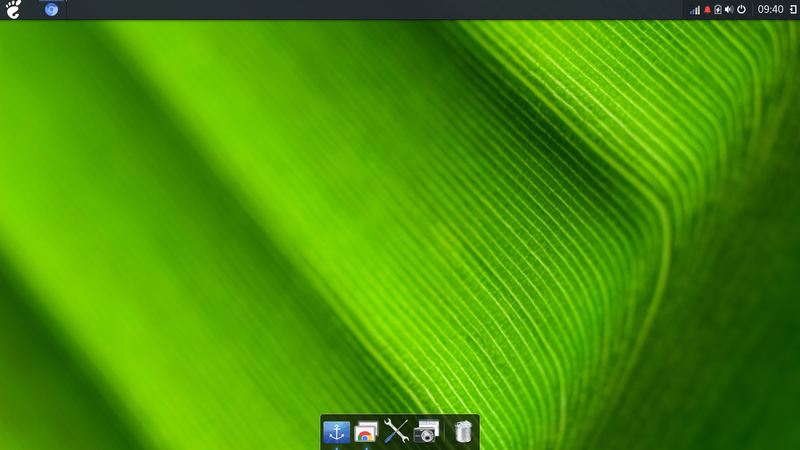 Besides a more modern design, Budgie can emulate the look and feel of the GNOME2 desktop. Logout and login to budgie-desktop using Login/Display manager. For budgie setting you can open the menu on top right. 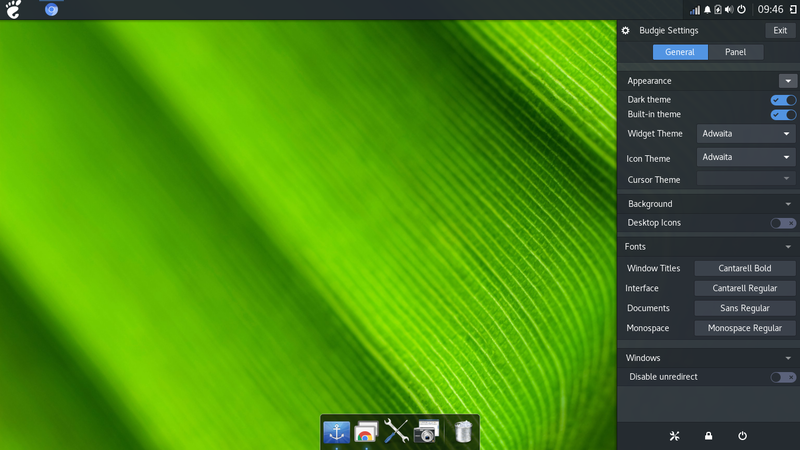 On the budgie settings you can change appearane, font, background, add icon desktop and also configure the panel. 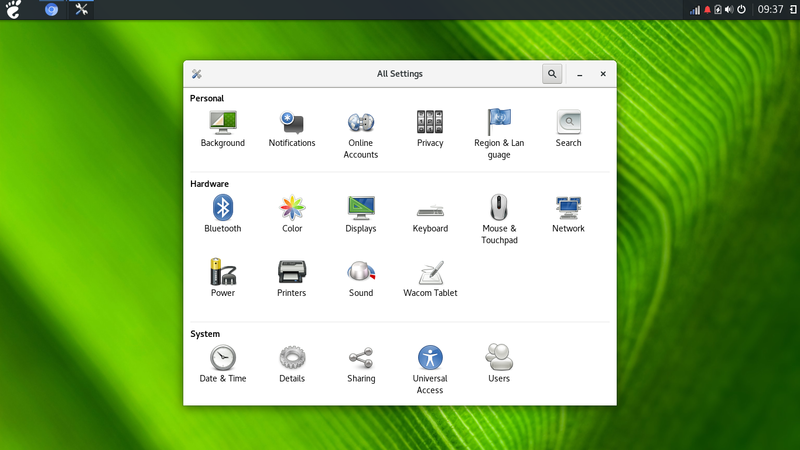 Budgie desktop can use gnome-control-center to more configuration of the Budgie Desktop. But not all setting in gnome-control-center work with budgie, because at this time Budgie desktop is heavily under development, so there are will be minor bugs and for new features will be added in the next version. 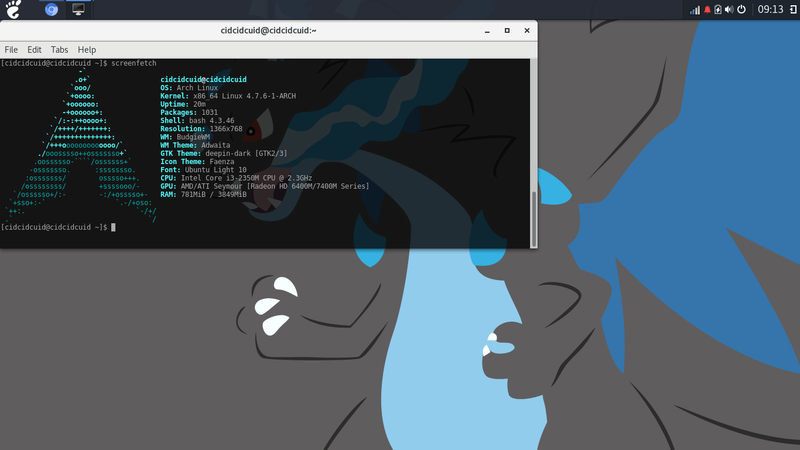 But so far it's usable and simply desktop environment inspired by gnome 2 desktop, you can also add docky for better appearance.